If you’re looking for the DCWV and Faber-Castell Design Memory Craft® Winter blog hop, please click here or scroll on down. It was Party Day at Nursery School. Which meant all the little boys and girls had to dress up. Do I even need to mention that I had one very excited little girl? She played games, had delicious treats and exchanged gifts. I even heard she got the chance to talk to the big guy himself….Santa!! Now that she’s officially started her Christmas Break, she’s even MORE excited. Oh Boy, indeed!!! 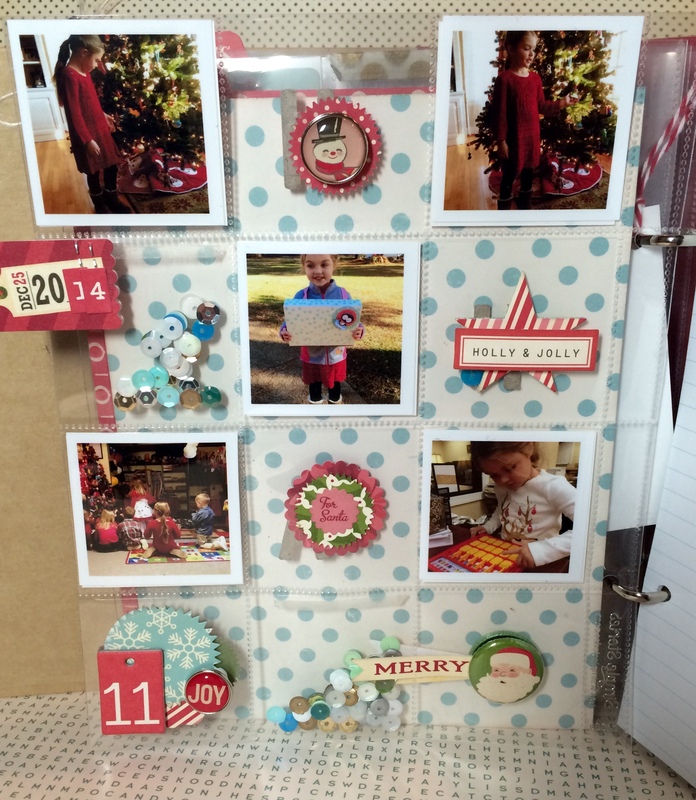 Another great layout…you’re doing a supercalifragilisticexpialidocious job with your DD this year! she is such a cutie patootie! and her hair is getting soooooo long! Glad she had a good time with the “big guy”. Great layout! To enjoy the holidays through a child makes life a lot better! All dressed up and got to talk to Santa, too! This was a very special day for a very special little girl! Great layout!